Loaded with Acid-free embossing ink the raised Emboss pad works great for any size stamp. 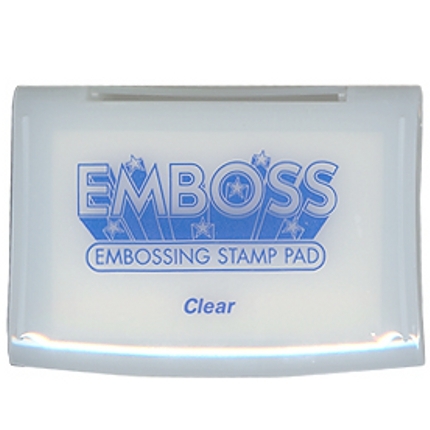 The hinged lid flips under the pad for easy handling and the clear ink keeps your embossing powder colours true. As far as I can see the pad works exactly as it should. It isn't messy or anything like that and provides stick for embossing powder. Was delivered super fast with fab service.